In late 1990, Elder Nelson received an assignment he felt ill-suited for. The United States Internal Revenue Service in Washington, DC, had scheduled a hearing to explore the question of whether or not dollars spent to sustain missionaries in the field should be eligible for a tax exemption. Assigned to represent the Church, Elder Nelson couldn’t help but wonder if one of his Brethren in the Twelve with a legal background—or one who had at least served a mission—wouldn’t be a more logical choice. But it wasn’t his nature to question assignments, so he attempted to prepare the best he could. But the assignment weighed on him. He knew that the resolution of this issue, one way or the other, would affect every member of the Church in the United States supporting a missionary. 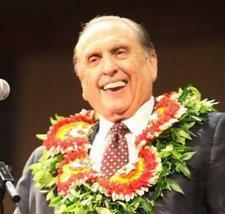 He shared his concerns with President Monson as the two traveled to the German Democratic Republic. The crumbling of the Berlin Wall had made it possible to reorganize the stakes in Berlin and to unite Saints who had been divided by the wall for almost thirty years. President Monson and Elder Nelson both had deep ties with the GDR, and they relished this assignment in Berlin together. After the meeting, in which new stakes were organized and stake presidencies called and set apart, President Monson surprised Elder Nelson by asking if he might give him a blessing in connection with his assignment with the IRS. “He promised me that I would know what to say and when to say it and reassured me that I was the person the Lord needed on this particular errand,” Elder Nelson remembered. With that, Elder Nelson flew to Washington, DC, and, at the appointed hour, appeared before key policy makers at the Internal Revenue Service. During the discussion, one person after another characterized missions for young Latter-day Saint men as a “rite of passage” and that, as such, funds to support a mission should not qualify as a deduction for charitable giving. The phrase “rite of passage” caught Elder Nelson’s attention, and after hearing it repeated several times he asked for clarification. His statement stunned the group, and the tenor of the hearing changed instantly. Learning that a senior leader in the Church had not served a mission invalidated the argument to the contrary, and the ruling went in favor of the Church. He had felt like such an unlikely choice to represent the Church in this issue but proved to be the perfect spokesman. In the same way, he had felt completely out of his comfort zone as he began to make connections in Eastern Europe, but often his stature as a world-renowned surgeon softened hearts and opened doors. His experience dealing with the IRS was but one of many personal experiences he’d had with the fundamental truth that the Lord is able to do His own work (2 Nephi 27:21), that He doesn’t see things as man sees them, and that “man looketh on the outward appearance, but the Lord looketh on the heart” (1 Samuel 16:7). Using his assignment to open the countries in Eastern Europe for the preaching of the gospel as an example, he told students at BYU–Idaho that “if ever a task seemed impossible, that was it. In the ensuing years, I tried my best. In each atheistic nation, I was never wanted and never welcome. . . . Each country presented different challenges for us. We did the very best we could, and then the Lord made up the difference. . . . I am an eye-witness—I am a part of that pattern: the Lord used the unlikely to accomplish the impossible” (Nelson, “The Lord Uses the Unlikely”).